👍👍👍👍👍 to the great service by the seller! I specified that I need the router urgently before I travel on Mon, ordered on Thurs night, received on Sat morning. Thank you seller. 😃 The gadget looks great, hopefully it's really useful as per reviews. Item well received. Working well. Delivery was super fast! I used this device before when I rented a global WiFi router, so it definitely works well in most cities. Battery life is also very good. have not tried it since it missed my travel date by delivering on the day i flying off. Will check when I'm back in sg. Delivery not within 2 days. 2days only after they send out the item which is another 2 working days of waiting for me. Reliable Seller and received within a few days. It was packed and the delivery was quick. The Glocalme is working well and very easy to register. I will be trying out for my 30 days trip in Europe. in good condition! fast delivery! compact! Fast shipment. Good product. Thank you. Super fast delivery. Had some technical issue initially, but seller was highly responsive and solved it very quickly. 2 thumbs up. As for the device, this is a MUST HAVE for people who are frequent travelers. The airsim features is so and convenient! No need to exchange SIM card in the airport. What it mean by no sim card still have internet access in other countries? How does it work? 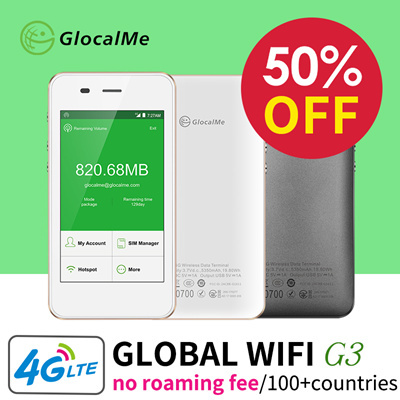 when you use without a local sim card, you need to buy glocalme data in glocalme app. Or you can just use it with a local sim card. You can check the data package and fee in app. hi Seller, I intent to travel to the Caucasus region soon, does your coverage include Georgia, Azerbaijan and Armenia? If yes how much is the charges? sorry the countries are not included. But you can insert a local sim card to use the portable hotspot. you can check other service coverage and fees on glocalme homepage or app. GlocalMe device can be bound to one ID at once. You need to un-bind before binding another account. In your description, it was mentioned that If you got GlocalMe device, you need to create a GlocalMe account. After top-up your account, you can login the account on your device to enjoy GlocalMe service. . Does that mean I must top-up my account before I start using? If I intend to use local SIM card, I still have to top up my account? Can this be used with Starhub prepaid SIM with roaming service? 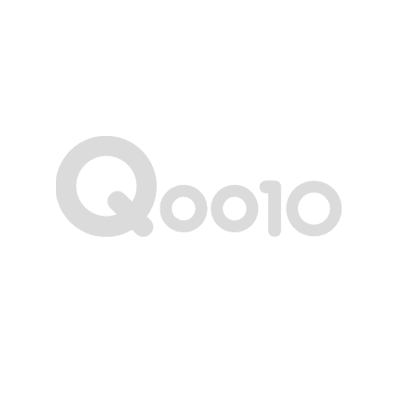 How to set up the roaming service in the device? if you want to use it without a local sim card, you need to creat a glocalme account and buy glocalme data to enjoy glocalme service. if you want to use it with a local sim card, you do not need to top up and just need to set the apn. To set the apn, you need to check the sim card apn information with service provider and put it into glocalme device. Hi, does this provide sim card? Or need to use our own sim card? the device only offer sim slots. If you want to use with a sim card, you need to buy sim card. If I order now, can it be delivered by tomorrow? If yes, I will put my office address. Pls revert asap. I'm sorry for the delay in reply. We have already conveyed your message and processed your order as soon as possible. Thank you for your quick action. Saw the notice it is on delivery. Will i be able to receive it either this evening or tomorrow? Are you able to check please? Appreciate for your super quick action. Thank you very much. I can't check the exact delivery time. You may receive in 2 days.